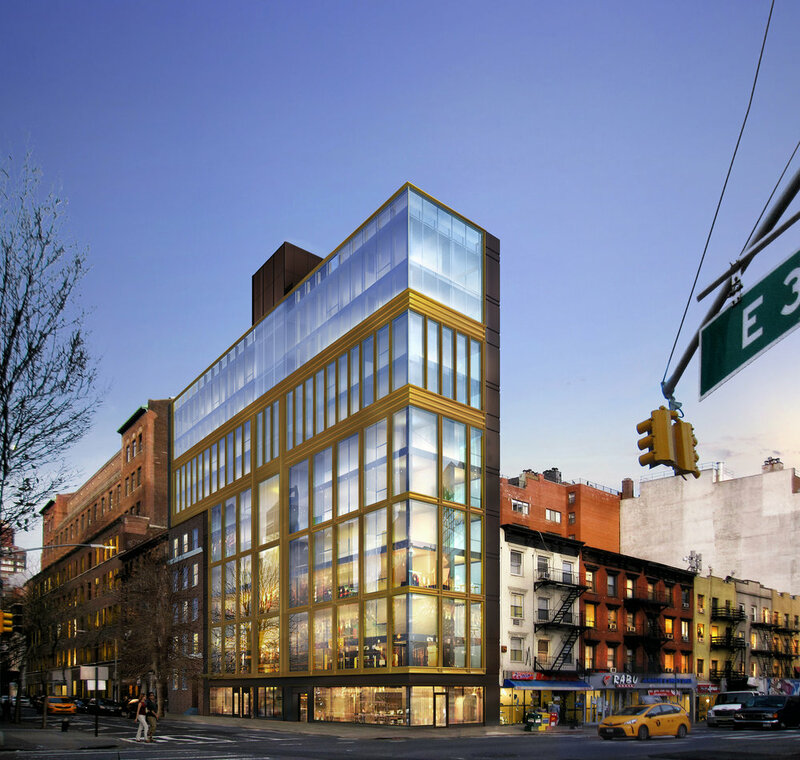 New mixed use residential/commercial development to be built at vacant lot at the corner of 2nd Avenue & E 30th Street. This new 11-story building contains 20,000 square feet, with the top 4 stories cantilevering over the adjacent building at 249 E30th St. The first floor will have retail spaces, and the upper floors will have a total of 20 rental units. 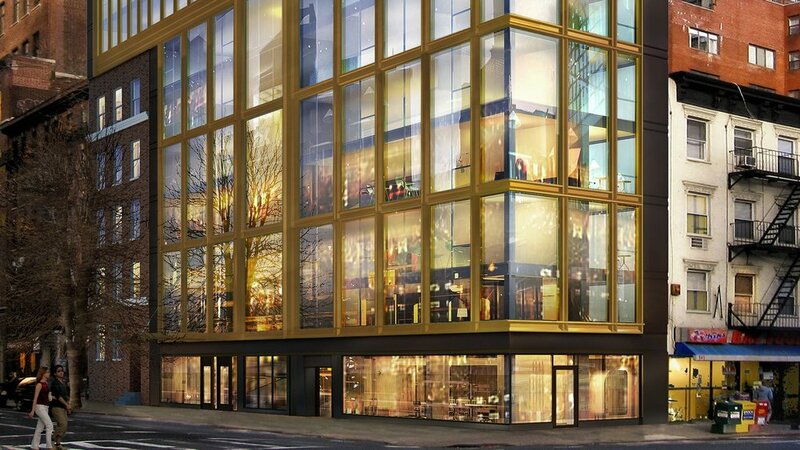 The custom glass curtain wall features floor-to-ceiling windows with antique gold finish frames. At the center of the building is a glass elevator that offers residents views of the city as they go up to their apartments.